My brother Chris (a.k.a. 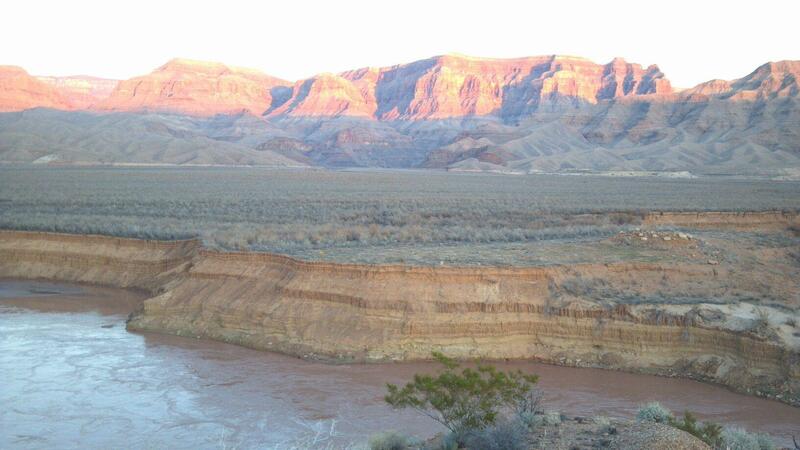 BK) is heading down the Grand Canyon on his second solo rafting trip starting Saturday Jan 12. If all goes according to plan he’ll finish the 297 miles on Feb 10 at South Cove. He is carrying a spot locating device which will update every 10 minutes while he is on the water. When he is at camp there will be no updates. We’ll all be able to follow along below. 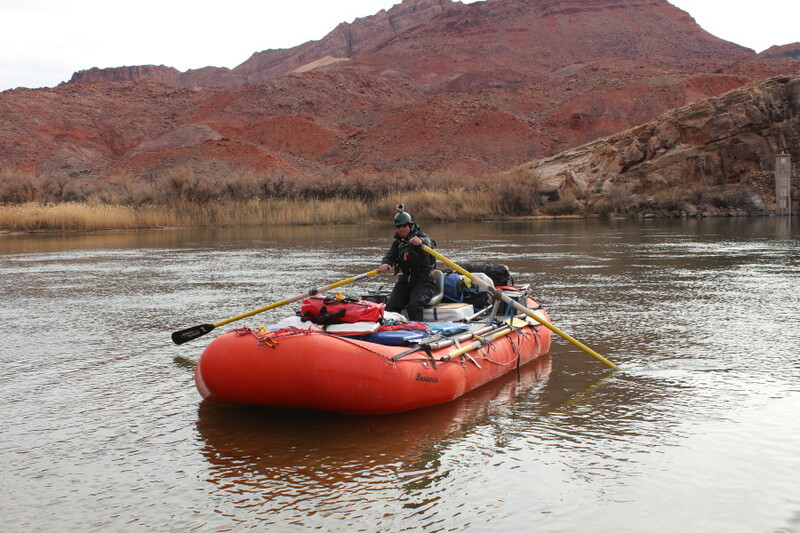 The first time he did this solo trip in January 2010, it was quite an adventure for him as Arizona experienced some serious storms which required many multi-day layovers. The long-term forecast for this January is dry. 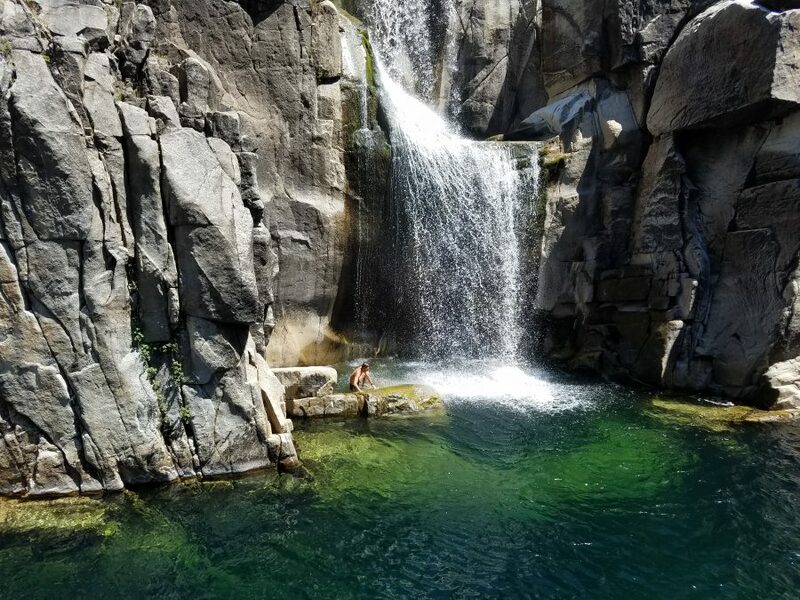 Flows are expected to be 9,000 to 16,000 cfs all month. Good luck, BK. We’ll be watching. Happy Gonging. Chris at the start. Leaving the known and pushing off into the unknown. 2.) Is he kayaking with the gong?? He’s got the big gong but no kayak. Just talked with Chris. He’s camping at Lee’s Ferry with Katie. It’s in 20’s and the thought of getting splashed by the 47 degree water is not attractive. Starting the journey may be the most difficult part. LOWS IN THE TEENS. FEELS LIKE DENALI RAFTING. IT’S THE REAL DEAL. Chris went to Phantom Ranch today. He texted that he had a close call at Hance today but he stayed in the boat. Big day coming up tomorrow with Horn, Granite, Hermit, etc.. then will stay at Bass for a few days. 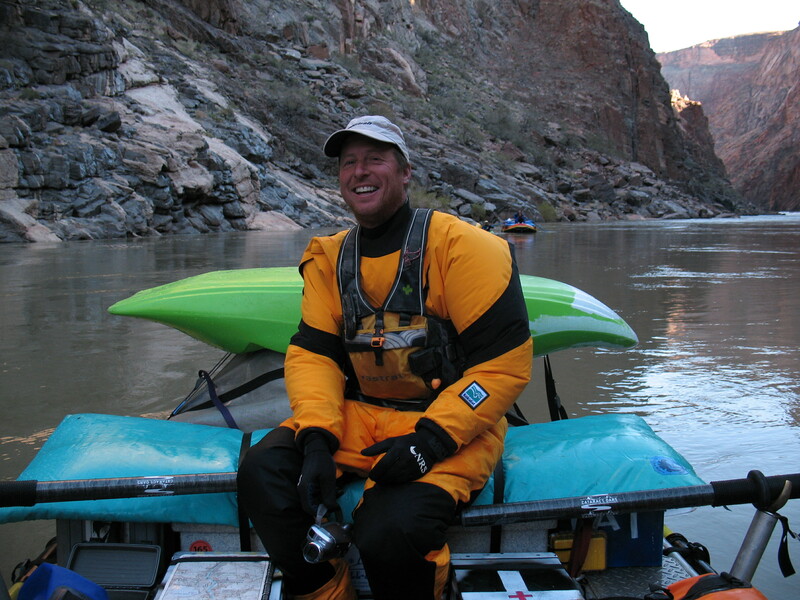 Chris will do the most feared rapid tomorrow (Friday) weather permitting: Lava Falls Rapids. Chris nailed lava today. That’s the crux of the river. Should be pretty cruiser the last 120 miles. Chris is at about the 220 mile point with 77 miles remaining. He’s texted things like “Naked Handstands in the Sun” “Lovin My Life” and has noted that he has the river to himself. After camping for several days he’s going to do a big 50K day today. Yay, Chris! Please give him our congratulations when he gets himself out of The Ditch! Safe back in Flagstaff!!! Thanks a million for following everybody. You were all right on the boat with me. Report and videos to come.